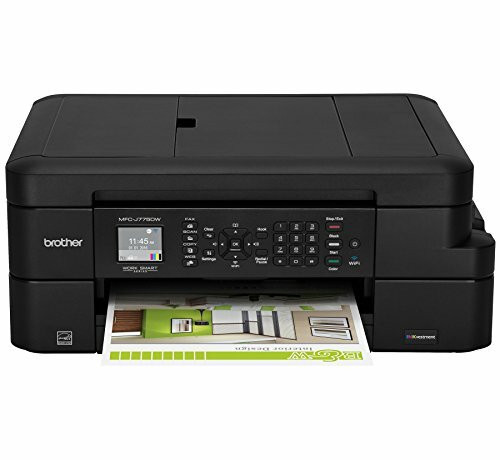 Print for pennies and nickels – less than one cent per page for black and white and less than five cents per page for color(1) with the Brother MFC-J775DW compact color inkjet all-in-one printer with INKvestment cartridges. 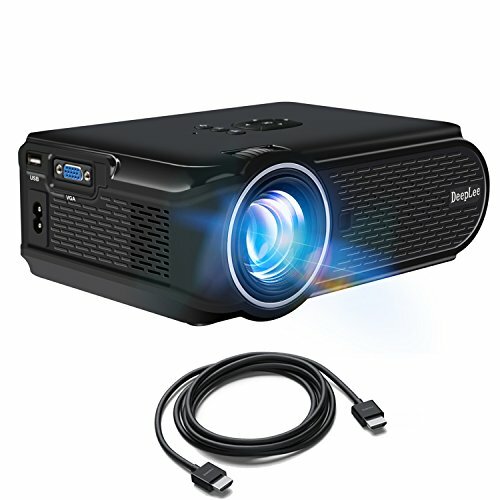 The MFC-J775DW is easy-to-connect, compact, economical, and loaded with features and functionality to make it the perfect printer for your home or home office. 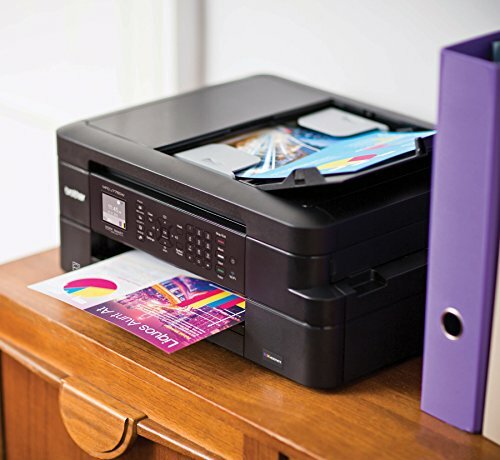 Easily print, copy, fax and scan using cost-efficient color inkjet technology and enjoy professional, crisp black and vivid color printing for all your documents. 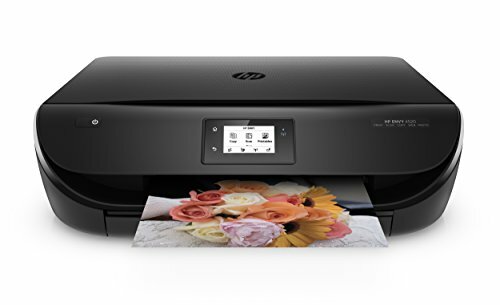 This wireless, color inkjet all-in-one printer delivers high quality, reliable printing, copying, scanning and faxing in a compact, desk-friendly size to fit just about anywhere. 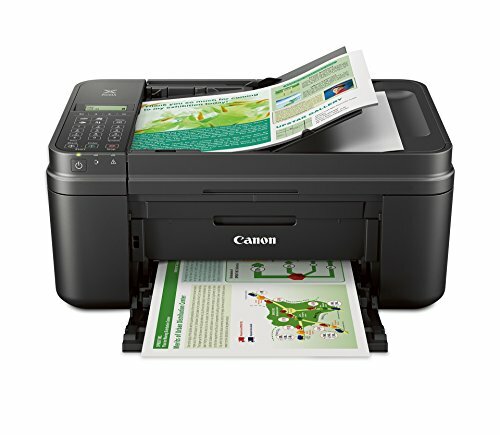 The MFC-J775DW offers automatic duplex (two-sided) printing that helps save paper. 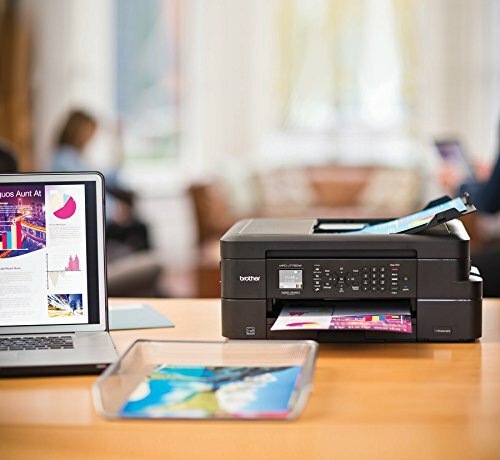 The MFC-J775DW with Wi-Fi Direct lets you print wirelessly from your PC or mobile devices without the need for a router. Wireless assistant helps you save set up time and connect faster. Use the up to 20-page automatic document feeder and up to 100-sheet capacity paper tray for generous output without constant monitoring or refilling. The MFC-J775DW paper tray adjusts for letter and legal-sized paper. 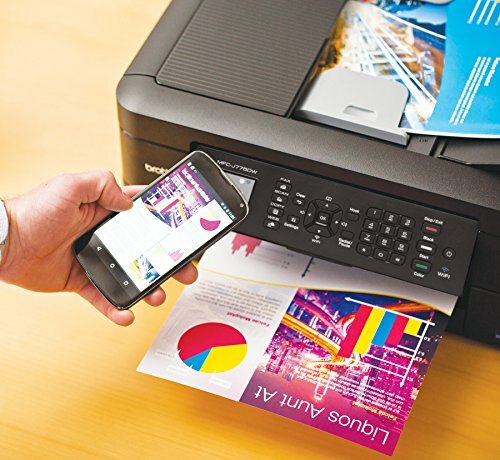 Mobile device printing (2) and Cloud connectivity let you print-from and scan-to popular Cloud services, including Google Drive, Dropbox, Evernote(3) and more directly from the printer. You can also easily digitize documents with Brother Cloud Apps for storage and sharing. 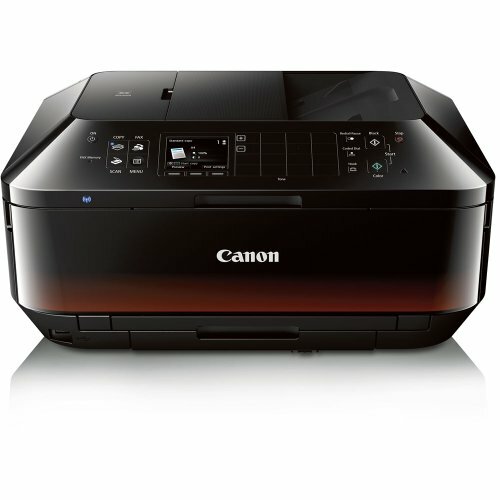 (4) Ink replacement is easy with the separate ink compartments for cartridges that you just pop in and out. 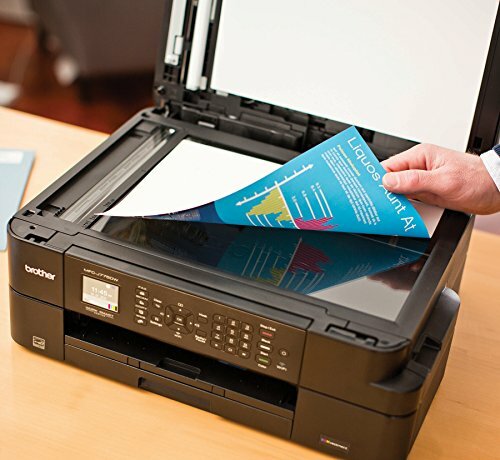 Super high-yield replacement cartridges help you save with every printed page. 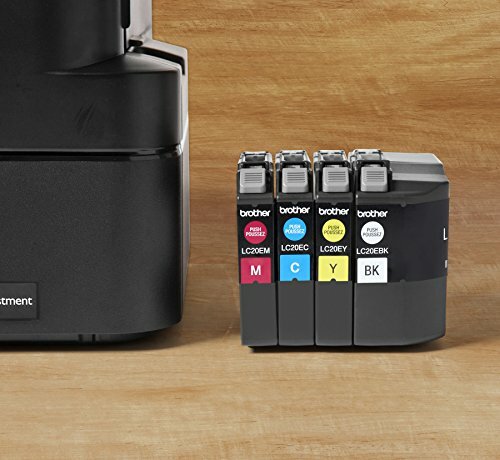 Get 2,400-page Brother Genuine black cartridges for under 25-dollars. (1) Get 1,200-page color cartridges for less than 15-dollars. (1) The 1.8-inch color display lets you easily navigate onscreen menus to simplify workflows. 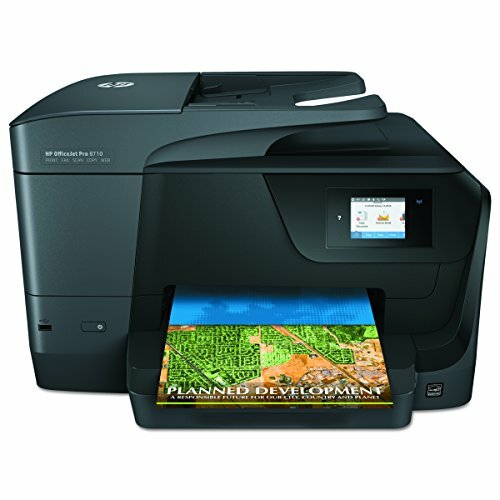 Comes with a two-year limited warranty and free online, call, or live chat support for the life of the printer. Based on MSRP of individual LC20E black and color ink cartridges and approximate page yield in accordance with ISO/IEC 24711. Requires internet connection and an account with desired service. Approximate page yields in accordance with ISO 24711. For more page yield information, see manufacturer’s website. Based on ISO/IEC 24734 (after first set of ISO test pages). For more details, visit www.brother-usa.com.